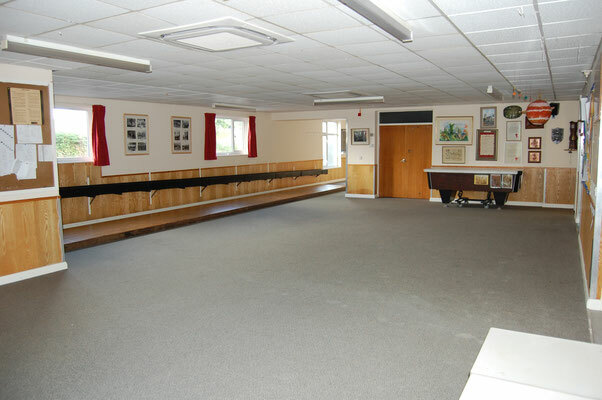 Burrington Parish Hall has a number of rooms that can be hired either separately or together to provide flexible accommodation to meet the needs of most organisations or individuals. 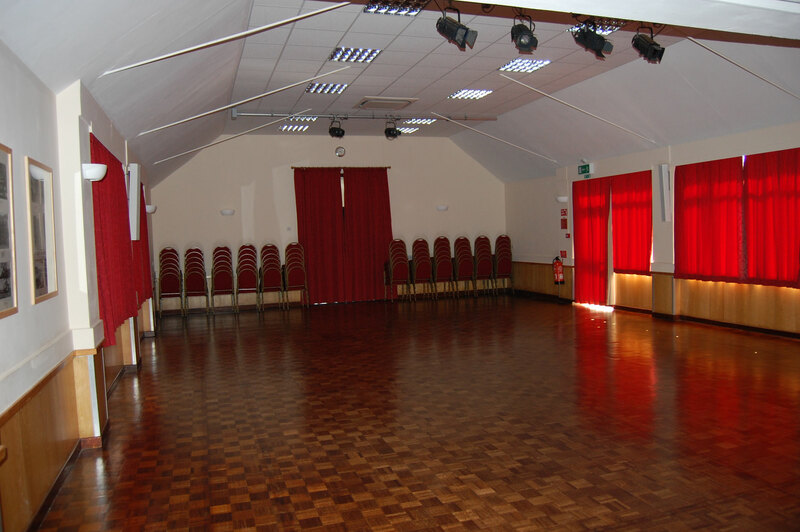 The hall is ideal to hold fundraising events, wedding receptions, private parties, dances, meetings, seminars, public entertainment, indoor sports etc. 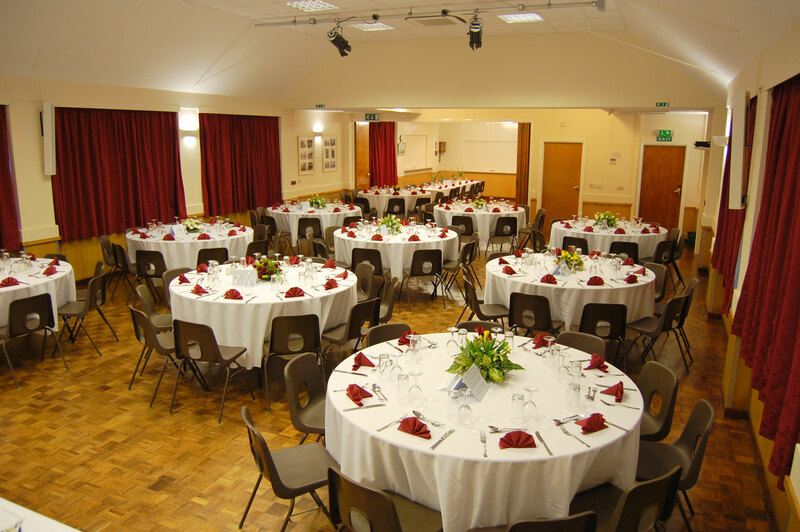 The recent refurbishment of the building have made the hall even more attractive for hosting special family events such as wedding receptions. All areas of the building are fully heated and there is a large number of folding tables (both rectangular and circular) to accommodate most requirements. The well equipped, modern kitchen has crockery and cutlery enough to cater for 130 people. The building is fully accessible to those with disabilities (disabled toilet is in the club room) and it also has a large car park. WIFI access to high speed internet is available throughout the building (password required to access – ask when you make a booking). We now have a digital projector for use by organisations. This can show slides, videos etc from a laptop. Again just ask when making a booking. Externally there is the sports area (MUGA) with an all weather surface. 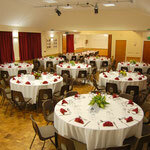 The main hall will seat around 130 people, or up to 200 for more informal events. There is a modern stage available if required that will aid presentations or performances. Stage lighting is fitted to the hall. There is also a PA system and hearing loop. 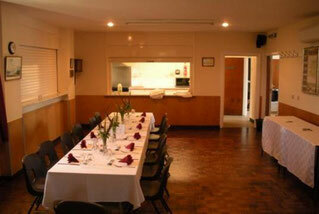 The committee room is ideal for smaller meetings of up to 30 people. The dividing wall can be opened to combine the committee room with the main hall. A hatch from this room to the kitchen also enables the committee room to be used, in conjunction with the main hall, as a bar area or food servery. The main hall is also marked out with a badminton court. 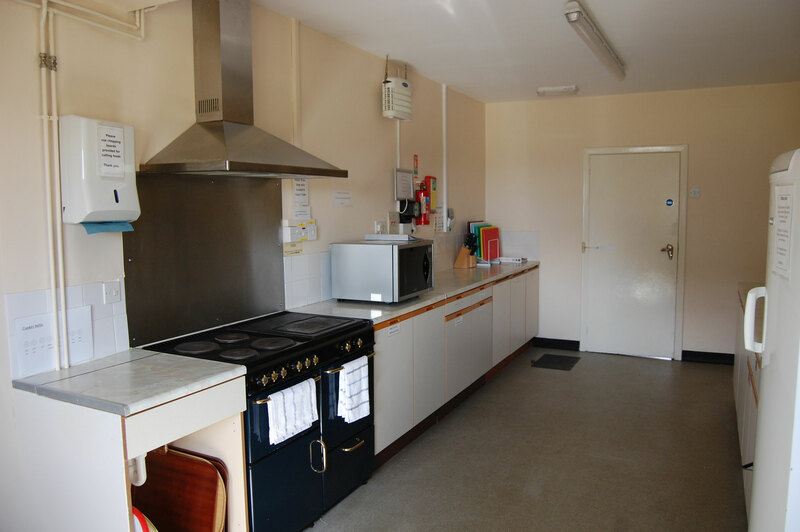 The extension to the kitchen includes a new commercial oven, electric hob with warming cabinet, dishwasher and sinks. 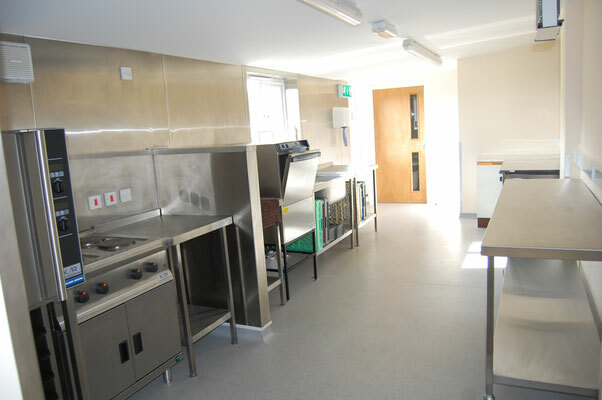 Also available are a large mobile heating cabinet and a carvery trolley. 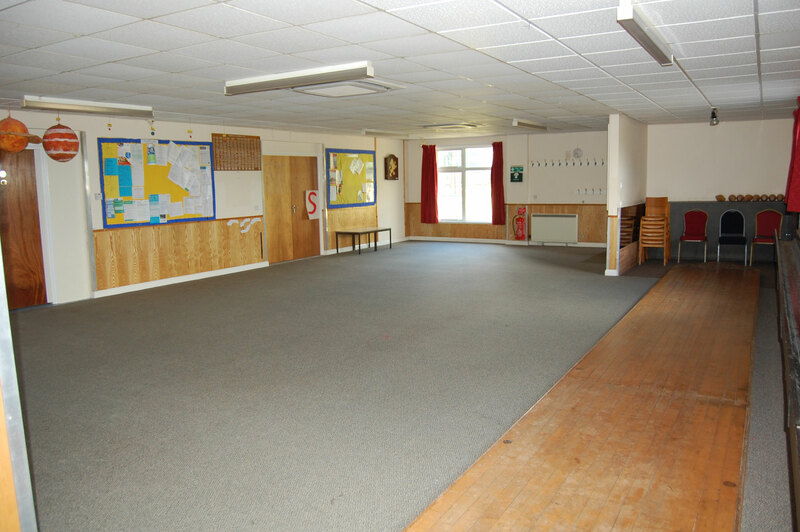 This separate, large room is regularly used by village clubs. It is equipped with a skittles alley, card tables, table tennis table, pool table, dart board and therefore ideal for many club type activities. The Multi-Use Games Area (MUGA) is a floodlit, all weather pitch suitable for Tennis, Netball, 5-a-side football and hockey. Just outside the building there are public toilet facilities that are open at all times. These include facilities for disabled users (via a RADAR key). 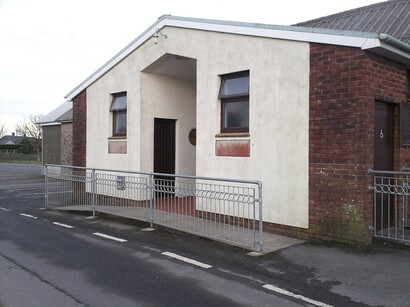 Although maintained by the parish hall, these facilities are part funded by North Devon Council and Burrington Parish Council. 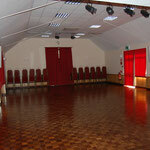 To book the hall then please telephone our bookings secretary on 01769 520601. You will be asked to complete a booking form which can be printed out by clicking here.